This looks to be a great example of these popular catamarans - designed for longer blue water trips, as well as shorter coastal passages. The size and layout of her accommodation will appeal to couples, families or groups of friends who want to go sailing and retain their home comforts and space. 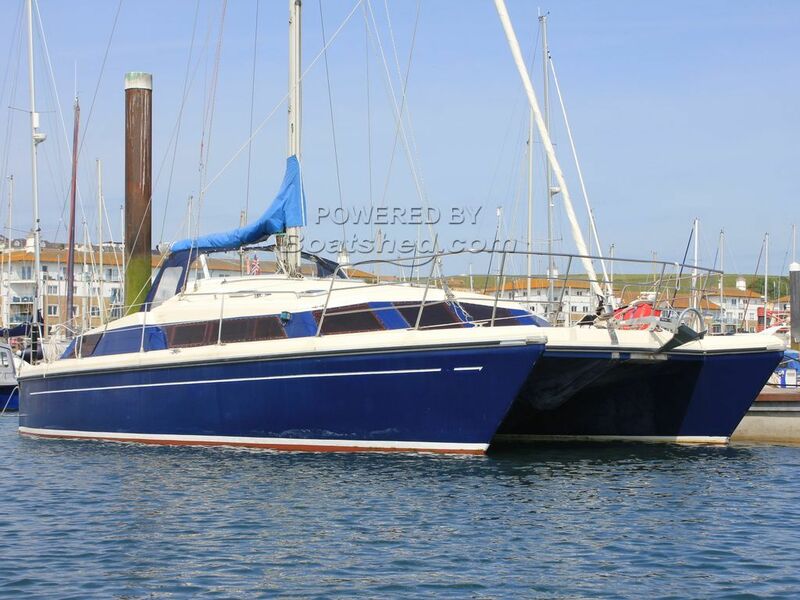 She has a fantastic open plan, light and airy saloon and access to 3 private cabins, along with a great heads space, navigation and galley areas. Of course, her cockpit, upper and rear decks are positively huge, along with a big coachroof, allowing plenty of room for sunbathing and other fresh air activities. This boat has had a lot of money invested in recent maintenance and equipment replacement, though she could do with a deep internal clean. This Prout Snowgoose 37 Elite Catamaran has been personally photographed and viewed by Tim Kingston of Boatshed Brighton. Click here for contact details.